Tonsilloliths occur when bits of debris such as dead cellular materials, food particles, and foreign pathogens accumulate in the crevices of the palatine tonsils. These lymphatic organs are positioned on either side of the back of your throat. The tonsils are responsible for defending the throat against harmful microorganisms and for filtering lymphatic fluid. A layer of pink mucosa covers the surface of the tonsils, containing pits and channels that are referred to as the tonsillar crypts. When large amounts of debris and other substances accumulate in the tonsillar crypts, the resulting material can combine with saliva and begin to decay. The decaying material then calcifies into small, pale-colored tonsil stones. Babies and small children rarely experience tonsil-stone formation. Those who do develop this condition may not demonstrate noticeable effects, as the majority of tonsil stones are small and asymptomatic. However, if you notice that your child is suffering from a chronic sore throat, frequent earaches, pain or difficulty swallowing, or persistent bad breath, he or she may be experiencing problematic tonsil stones. Tonsil stones are especially common for children who have repeated bouts of tonsillitis. This may contribute to more severe symptoms, since a child’s tonsil are very large in proportion to the size of his or her throat. As a child matures, however, his or her tonsils usually shrink. If you suspect that your child may be suffering from tonsillitis or tonsil stones, see your family doctor or pediatrician for an oral examination. He or she can remove any visible tonsil stones and may provide an antibiotic to reduce bacterial inflammation. Your doctor may also recommend that your child see an ear, nose, and throat specialist if his or her symptoms persist or worsen. Surgical treatment is almost never required for tonsil stones, but if the condition persists and causes concern, your doctor may recommend a tonsillectomy to prevent further complications and discomfort. How Best to Get More PMDD Help and Advice? 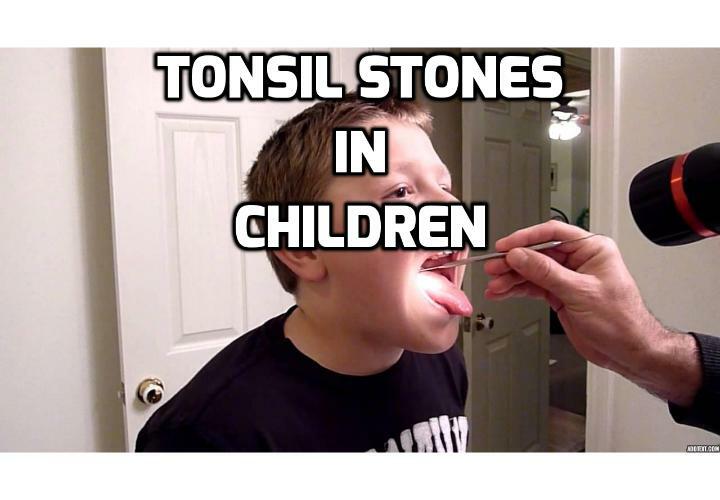 Next PostNext In What Ways Can Tonsil Stones Be Contagious ?